Welcome to the worlds greatest guide to Women's Leather Jackets. 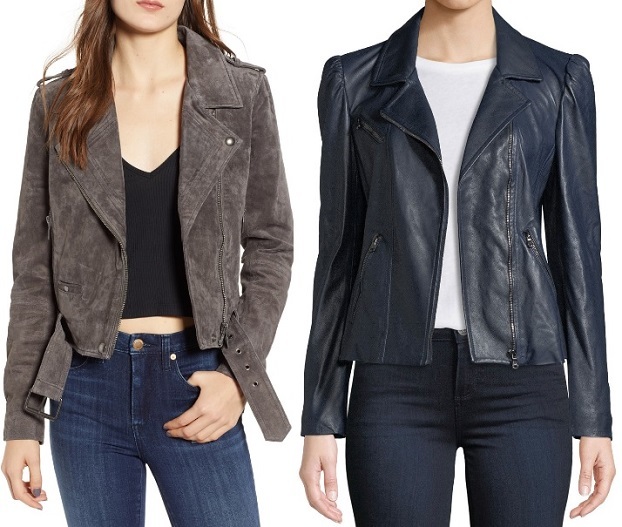 Are you actually looking for Women's Leather Jackets? Well, we hope you are because the reality is that you have found our Women's Leather Jackets page. Apparel Search is a leading guide to fashion, style, clothing, glam and all things relevant to apparel. We hope that you find this Women's Leather Jackets page to be helpful. Not many things can make you look more "cool" than wearing a trendy leather jacket. Leather jackets can be designed for many purposes, and specific styles have been associated with subcultures. For example, punk rockers, motorcycle clubs, cowboy, military, goth, etc. Leather is a natural durable and flexible material created by tanning animal rawhides and skins. This material is used for a variety of clothing categories. 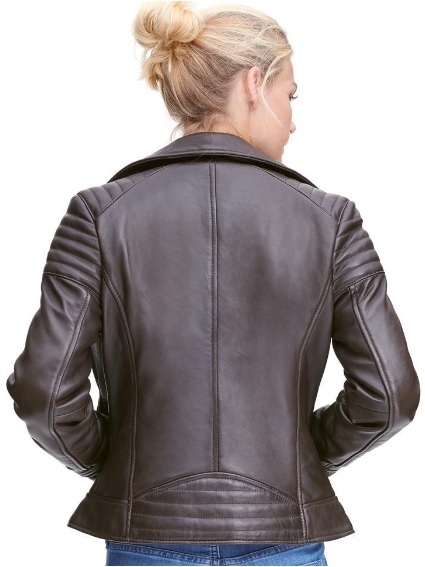 Ladies jackets are one of the popular garments that utilize leather. A jacket is a mid-length garment for the upper body. It will typically have sleeves, and fastens in the front or slightly on the side. The fastening can be done by zipper, buttons, toggles, etc. Leather is a material made from the skin of an animal by tanning or a similar process. Learn about the various types of leather grain that can be used for women's jackets. Do you know the difference between a jacket & a coat? What ever style of jacket you are wearing, is in fashion. If you want to be even more stylish, you should wear your favorite ladies leather jacket today.